Tabanero Hot Sauce is a fairly new sauce from CDS Hot Sauce in Boca Raton, Florida, and made in the State of Tabasco in Mexico, not far from the Yucatan Peninsula. I received a couple of review samples from Michael Paul of CDS recently, and here is what I found. 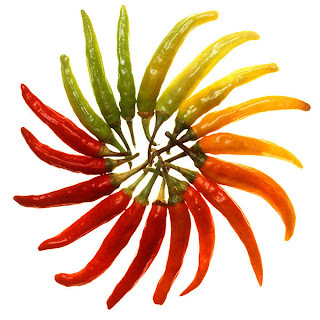 Its name comes form its 2 principal pepper ingredients, Tabasco, and Habanero, peppers. Tabasco being famous for growing upside down (it does you know, the pepper points up!) ... well ... and there is another Hot Sauce that uses that name, too. You may recall it. Habanero is famous, of course, for being Really Hot, but otherwise has a delicate flavor. 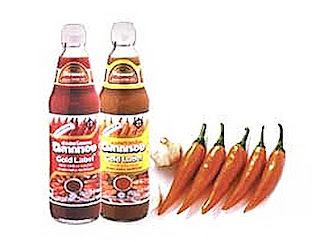 According to CDS, they wanted to make a Hot Sauce with no vinegar, and to get away from the traditional flavored vinegar style sauce, so they chose Lime as the acid ingredient, and to give it brightness. Tabanero has a fairly mainstream label on a bigger than usual 8 oz bottle, appears light orange with some little red and other bits and appears thickish. Open the bottle, and there is a fairly strong lime citrus aroma with a hint of pepper spiciness. Ingredients: Habanero and Tabasco Peppers, Carrots, Onions, Key Lime Juice, Agave Nectar, Garlic, Salt, Grapefruit Extract. Hmmm ... Grapefruit Extract ... well, it's supposed to be good for you. I guess. And CDS wanted to make an all Natural sauce so they use, um ... all natural ingredients. The inclusion of carrot, onion, and lime might lead you to believe this is a Caribbean style sauce, but in flavor it is not, nor is it in the familiar Mexican style of a Cholula, for instance. See Cholula reviews in this blog. 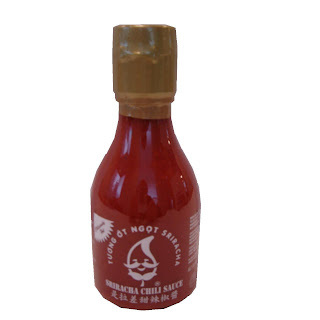 It is not a super hot sauce despite the inclusion of Habanero, and the 1/4 teaspoon to the tongue test reveals a strong lime flavor with a sour, mainly Tabasco pepper flavored heat that lingers for a good minute or so. This is not a complex sauce, but it is pleasant, not at all salty, with just a bit of carrot-onion sweetness in the background. It is not a sweet sauce, agave nectar or not, nor is it salty. Due to the strong lime flavor, I would not recommend Tabanero for use with foods that would not benefit from the sour-citrusiness of the sauce, such as, say, a bacon cheeseburger, but OK, prove me wrong. It is good with foods that go well with a traditional Louisiana style sauce, because it is bright, so fried foods are a yes, as is fish, chicken, and the like. It was fun and good on fried catfish, and a turkey and avocado sandwich. In short, Tabanero is an interesting sauce as an alternative to a typical Louisiana sauce and substitutes the lime flavor for the vinegar. The Tabasco pepper in the sauce does not have the aged Tabasco flavor of Tabasco Brand sauce itself. If I were to quibble with the flavor profile, I would say it is a little too much balanced toward the Lime-acid, and not enough in the Tabasco pepper direction, but, hey, that's me. Recommended. Especially for seafood, fried food, and lighter fare. 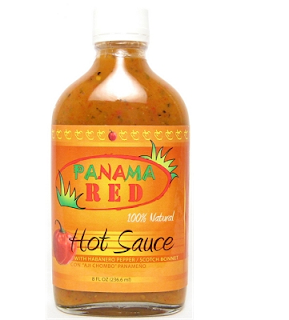 Today I am going to review the Panama Red Hot Sauce from Pan Cali Foods. Do you remember the song? Luckily, this stuff is Orange. Otherwise I might be worried. Still, I couldn't hear the name, Panama Red, without thinking of the old Jerry Garcia/Pete Rowan song as played and recorded by both The New Riders of the Purple Sage and Old and in the Way so long ago. Also note there is an implied analogy to a particularly potent cannabis cultivar that had a rep for #$! !$@ing you up! But in a good way ... LOL. Anyway, I've been waiting while this stuff for quite a while, and anticipation has been building -- I am glad to say, not in vain. This stuff is very, very good. Locally distributed in California in the San Francisco area, it is also available directly from Pan Cali Foods and is a good value at 8 bucks for 8 oz. Winner of the 2011 Scovie Awards in 3 categories, 1st Place Authentic Caribbean, 2nd Place Habanero, and 2nd Place Specialty Chile (Aji Chombo -- I guess), the Panama Red certainly has the credentials to pique my interest. Due to shipment delays from, dare I say it, Panama, it took me over 3 months to get my hands on the stuff. When the package came in the door, I didn't even wait for a moment to do an objective review, just ripped open the box, yanked off the plastic cap, and poured a teaspoonful into my mouth. It has a big, intense, bright and complex flavor and I was happy to have my long anticipation satisfied. So, I recapped the bottle and allowed myself the luxury of waiting 'til the next day for a proper review. There seems to be some ambiguity over the actual peppers included -- variously on the website linked to above, the names Habanero, Scotch Bonnet, and Aji Chombo appear, and it isn't clear if all 3 are present or if, since Aji Chombo is a Habanero cultivar, only Habanero is present or maybe Habanero and Scotch Bonnet. Whatever. 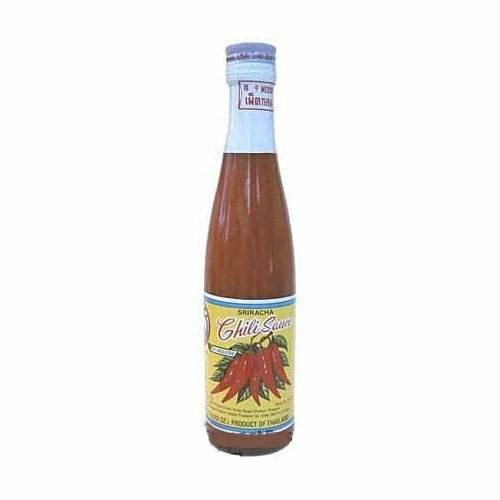 The point is also made by Pan Cali that the heat of the Aji Chombo does not persist as long or as brutally as that of the Habanero. OK. I do have a bit of a prejudice against hot sauces for which the principal ingredient is Vinegar, since, in many cases, that means the principal flavor is vinegar, and to the exclusion of most of the other flavors. Happily, that is not the case here. There is still a strong vinegar flavor, however. The nose is of bright acid and spicy pepper, and that is the first note on the tongue as well, along with some salty sweetness, earthy mustard, and sweet spicy onion. As the taste fades, some sweetness remains along with a substantial and classic needle-like Habanero heat. The texture is chunky with discrete bits of the ingredients adding to the intensity of the flavor. Very pleasant overall and interesting from beginning to end with a robust and complex flavor -- great intensity. Because of the amount of vinegar in the sauce, it might not be the best choice for foods already bright with acids such as lemon or vinegar, so certain soups might not benefit, nor perhaps would some delicate foods go well, for instance, scrambled eggs. That's not to say you won't like the combination -- I know plenty of people who slather Tabasco all over their eggs. Oh, well. But for fried foods and hearty foods, this sauce is great. I tried it in Braised Short Ribs, on a Bacon Cheese Burger, on Deep-Fried Catfish in an Aioli made with Hellman's Mayo and this sauce, and loved it. Very Highly Recommended. In spite of the fact, I think there is too much vinegar. IMO. PS Try the Panama Red mixed with Hellman's Mayo, say, 4 TBS to 1 cup mayo, or to taste. Just after I had published Sriracha Redux, I finally received another cult favorite Sriracha that I had been waiting for, and for a while, too. The Union International Food Co Sriracha that goes under the name Uncle Chen's, and this product, which has exactly the same bottle style and label, including the little Pepper Face (of Uncle Chen, I guess, with mustache and stem), but without the actual Uncle Chen name on the bottle, I believe to be the same. So I call it UIF Sriracha, or Uncle Chen's. Any of you out there who know better, let me know. I like this stuff. It has good balance, a big flavor and it's not too sweet, although it does have some sweetness. It has a lot of the great bright fresh pepper flavor of the Huy Fong Sriracha, but without the flaw of bitterness I had noted in my first review. I have tried it on burgers, eggs, in mayonnaise, made an Aioli with it, eaten it straight out of the bottle. It's really good. A little less sweet, a little saltier at first, maybe a little less hot. The finish is garlicky, sweet, and has some heat. It's got a little thermometer right on the side showing medium heat, and I have to confess I wouldn't mind it being a little hotter, but maybe such a hotter UIF Sriracha is available, some place, somewhere. Meantime I can like this one. OK, I got mine from Amazon! Had to buy a 6-pack of 6 oz squeeze bottles -- I'm not sorry to have them now -- and when I went back to the Amazon page for the UIF Sriracha, I got the dreaded message. So the good news is that I do have 6 bottles; the bad news is -- where am I going to get my next 6? Still, I have time ... and, yes, I did do some pretty thorough web searches for the stuff. I do apologize for recommending this stuff just as it seems to disappear from the market. Still, think of it as my way of soliciting help locating it. 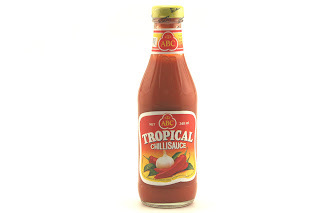 I also have a confession to make regarding Huy Fong Sriracha -- I picked up a new bottle to compare it head-to-head with these other brands, and I like it much more than the older stuff I had reviewed back in March of last year. I dug the older bottle out from the back of my fridge and discovered, lo and behold, that the old HF Sriracha is indeed considerably more bitter than the stuff in the new bottle I just bought. In fact, with the still remaining Jalapeno bitterness much more in the background, the wonderful bright ripe red pepper fruit flavor is fantastic and makes it my favorite Sriracha, at least for the squeeze bottle I just bought! I feel badly about possibly having rated the HF Sriracha on the basis of an extreme and unusual sample of the sauce, but, hey, I did it on the basis of 2 bottles I had purchased at different times (a week apart from the same store), and I can only rate what I taste! What this means long term, I have no idea -- do I have to worry about consistency, and will the HF Sriracha I buy be bitter again next time around? Don't know. Never ran into this issue before. Still, I am going to do a Sriracha ranking based on my current sample. Note that both of my favorites are domestically produced -- the UIF Uncle Chen's Sriracha at their Hayward, CA plant, and the HF Sriracha at the Rosemead, CA plant, and the flavor is much more pronounced, much bigger and fresher than that of the Thai "originals". Next time, I'm going to post my recipes for 2 Srirachas, 2 US Farang Brand Srirachas, one PDQ recipe, and one let's-take-our-time fermented pepper recipe.